Psympathic is a scientific journal on psychology published by the Faculty of Psychology of the UIN Sunan Gunung Djati Bandung. It brings new articles every June and December. The Journal is an open-access journal that publishes empirical research on Psychology. The journal welcomes research articles (qualitative and/or quantitative methods), and conceptual review about psychology. Novel ideas and originality that trigger further research are emphasized. Double blind review is observed. The journal is formerly known as Psympathic: Jurnal Ilmiah Psikologi Pendidikan dan Perkembangan (issn 1979-4789), that focused on educational and developmental psychology research article. 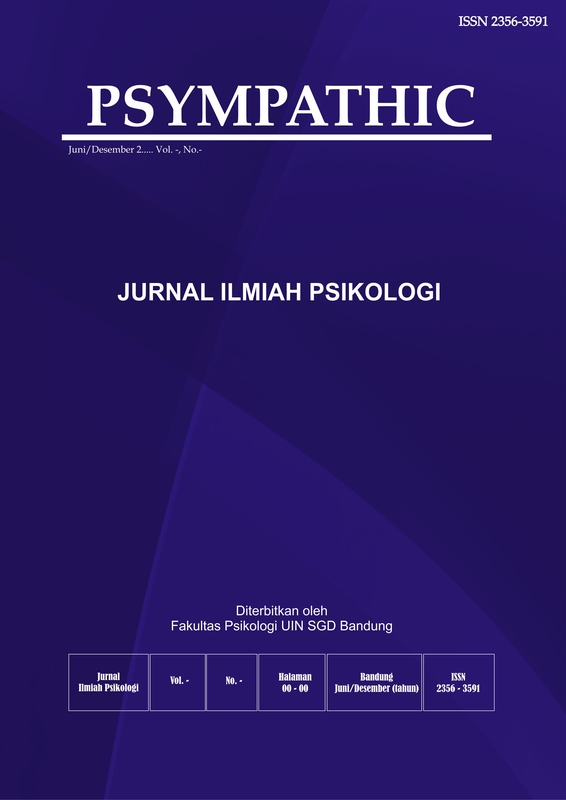 Starting from 2008, the journal transformed into Psympathic : Jurnal Ilmiah Psikologi (issn print 2356-3591, online 2502-2903). It was changed to cover another area in psychology. We expect all authors to submit their articles with these requirements. Psympathic : Jurnal Ilmiah Psikologi does not charge any payment from the authors to publish any of their articles. The processes and administration is completely free of charge.